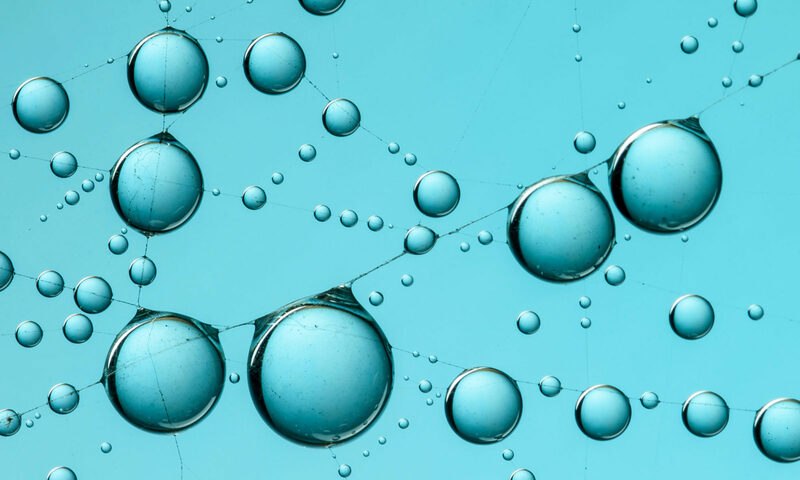 Snow accretion on contractions can cause malfunctions, damages of structures, or accidents. This is related to the disposition of snow, position, and constitution of the equipment, location of equipment and the circumstance. We measured the slip-off angle of dry and wet snow accreting on a HIREC coated plate. 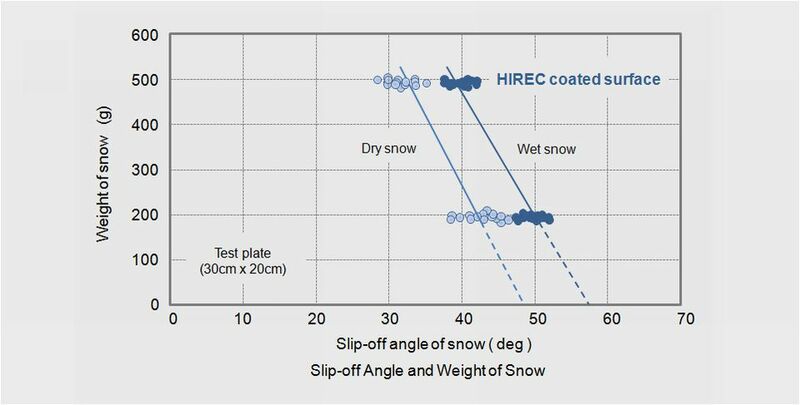 The results show snow accretion can be reduced by setting the angle of 60° or more of structure’s surface with HIREC coating. The dry snow slipped off the HIREC coated surface at 30° or more when the weight of the snow is 600 g (1 g/cm²). For the thin snow, the slip-off angle increases from 40° to 50°. 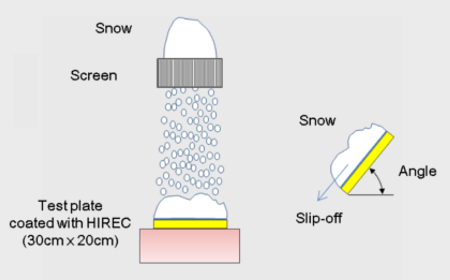 For the countermeasure against dry snow accretion, the angle of the surface coated with HIREC should be 50° or more. For the countermeasure against wet snow accretion, it is advisable to have an angle of 60° or more for the HIREC coated surface. Snow accretion can be reduced by setting an angle of 60° or more of structure’s surface with HIREC coating.